When you’re looking for one of the most enjoyable three-row crossover SUV models on the market, the Nissan Pathfinder is a name that has to come to mind. This impressive SUV brings you the power you’re looking for and the qualities you want to enjoy when you get behind the wheel. There’s room for your entire family and the gear you need to take with you on the road. This SUV is filled with features that will keep you safe and comfortable on the road in order to have the quality drive that makes a lot of sense for you. 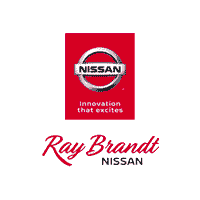 If you’re looking for the best of the Nissan Pathfinder deals that make it easy for you to have the drive you want on the roads in Harvey, LA, you need to see the team at Ray Brandt Nissan. This is where you can take this SUV out for a test drive and enjoy the performance and power of the strong V6 engine that’s found under the hood of this vehicle. Come in and take a look at what this SUV offers you for your driving pleasure today. Every model of the Nissan Pathfinder is now offered with rear parking sensors to make it easier for you to park the vehicle. You’ll also find a pair of Type-C USB ports that are added to the four Type-A USB ports to give you six places to charge and connect. The Pathfinder is also offered with adaptive cruise control, blind spot monitoring, and rear cross traffic alerts for the SV and higher trim levels. LED headlights are found on the top two trims and you can now choose the Mocha Almond Pearl paint as one of the exterior paint colors offered. The Nissan Pathfinder deals up more safety for you when you drive around in Harvey, LA. This SUV now has the new Rear Door Alert system to remind you that you might have a package, a pet, or a child in the rear seat when you exit the vehicle. This SUV is also equipped with automatic emergency braking to make it possible for you to stop quickly when you’re driving on the roads in the city. More accidents take place at low speeds than at high speeds and this feature will help you avoid these accidents. You know that you want to drive the Nissan Pathfinder, the best deals for this SUV can be found at Ray Brandt Nissan to make sure you can have the drive you’re looking for on the roads in Harvey, LA. This SUV is one that brings you the quality ride you’re looking for, a ton of space for your family and your gear, and the power you want under the hood. Choose your model today and start to enjoy the drive.